It's all play and no work (or words!) 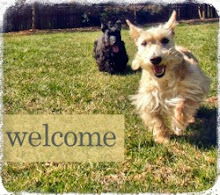 for Mr. K this BlogPaws' Wordless Wednesday. He's busy destroying his favorite toys and hiding underneath blankets and pillows so he can pop out unexpectedly and surprise Scottie Mom or Heather when they walk by him. Hope our friends have an equally fun-filled day. Only two days left until Friday! In the meantime, happy Wordless Wednesday! What a cute pic!! Happy WW! Silly cutie! You are adorable! That's a really cute photo! You have the best doggie grin...looks like fun at your house! Wagging Wordless Wednesday! He's 2 weeks too late for "BOO"
Oh my gosh, what a silly guy!! I love it and that smile! You made my day Mr. k!!! Oh, a BALL!! Floyd loves to play with balls! He definitely loves the game! Such a cute smile he has! 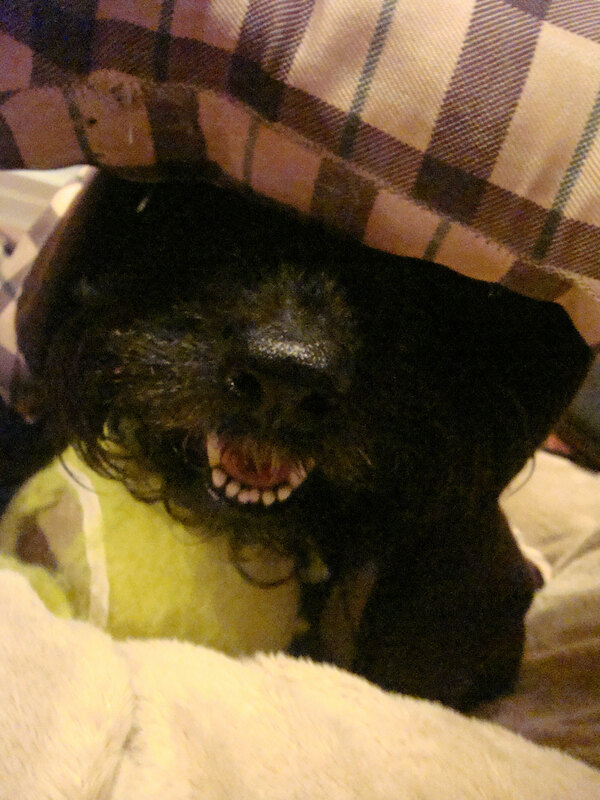 Nice Wordless Wednesday incognito. Gotta keep that superhero identity a secret. Lost & Found: Scottie Groomer! 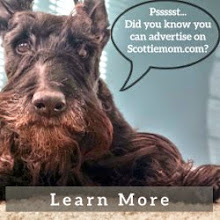 Don't Call My Scottie Fat!